Animal forest, This coloring book is for all ages! Even if you are an adult. These complex and detailed illustrations will entertain and relax you for hours. It's an adult coloring book but also can be given to older children! Flowers, Nature, Animals, Houses, A large variety of scenes to be colored. 43 Different designs This thin but strong paper can withstand Colored pencils, crayons and even your favorite markers. This one sided coloring book will allow you to tear the pages out for hanging, or you can keep them inside your book! All of your favorite animals are in here, Including Dogs, Cats, Zebra, Chicken, Duck, Flamingo, elephant, Fish, Frog, Alligator, Goose, Guinea pig, Horse, Lamb, Lion, Koala, Lizard, Monkey, Owls, Panda, Penguin, Rabbit, Rat, Snake, Turtles. I recently heard about the new craze in adult coloring books and wondered why the attraction. When I saw this one to choose from, I had to request it. It is nicely done. Animal Forest Coloring Books is a visual treat and demonstrates the talents of this new artist, Lin Watchorn. I think she is an artist to keep an eye out for. Animal Forest Coloring Book by Lin Watchorn has plenty of pictures in this book for anyone to choose from to keep busy and color. Whether you buy a Kindle copy or paperback, each page is single-sided so that you can tear pages out and color without destroying the book, or keep them intact in the book to peruse from time to time. There are 43 different designs that you can color with pencils, crayons and markers. There are cats, dogs, a zebra, chicken duck, monkey, owls, a panda, penguin, rabbit, a lion, and more. This is a very nice coloring book, but I wouldn't say it's a coloring book for all ages. Due to the fine lines for coloring, this book is definitely not for children under 12. The pictures are complex and detailed, and each page is a bit more busy than any coloring book should be, which would make it more difficult for children to deal with. 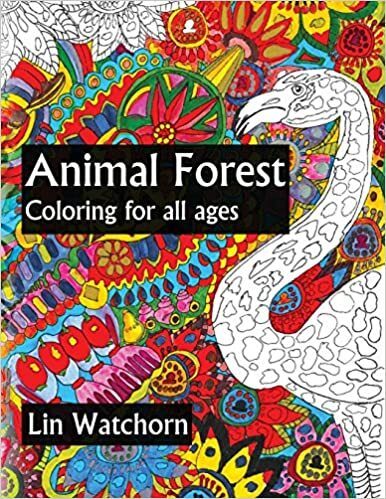 All in all, I liked Animal Forest Coloring Book by Lin Watchorn and I don't hesitate to recommend it to fans of art and coloring books, or just something to skim through when you want to find a moment of distraction and clear your mind. Until my next review, stay safe. Smile! Show compassion to others. Be nice to one another. Read a book and pass it on. Review it. 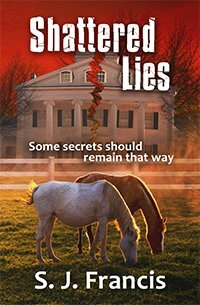 Reviews are very important tool for authors. Cheers! And now for some legal stuff: Copyright 2017 by S.J. Francis. Opinions expressed here are solely those of the author, S. J. Francis and are meant to entertain, inform and enlighten, and intend to offend no one.